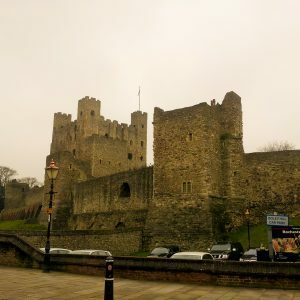 So this is a post I never thought I’d write, but I spent a rather pleasant Saturday in Rochester, a place, having damned it, I thought given what has happened I would probably never visit again. Yet I enjoyed myself. Funny how things can change. This time I did get to see the castle (even if we arrived only just before last entry! 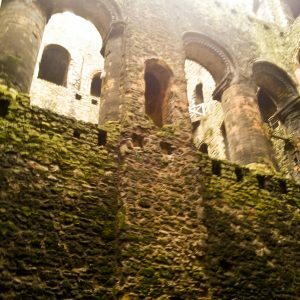 ), climbing right to the top for the spectacular views over Rochester, the Medway and surrounding countryside. I didn’t need the audio guide as I had my own personal guide, pointing out the interesting features, including where one tower was famously undermined, and the central well with access from every floor. 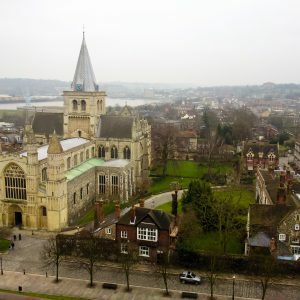 Rochester looks nice from up the top of the castle, the cathedral impressive and river interesting. And it was wonderfully comfortable in the pub later.